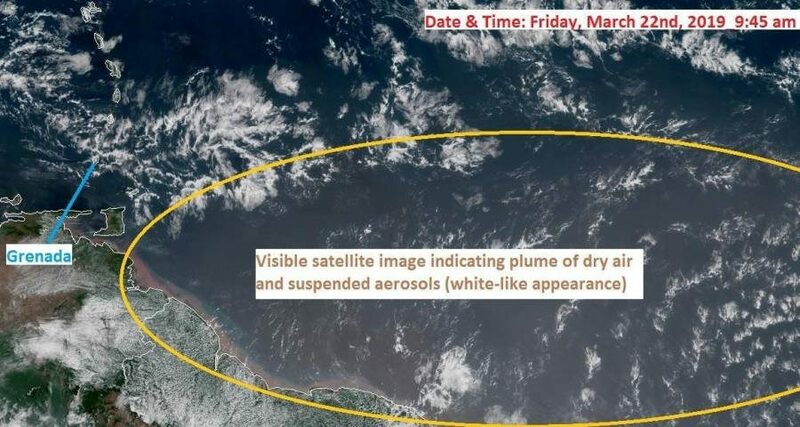 Saharan Air Layer (SAL) Warning: A dense plume of dust is predicted to affect the Eastern Caribbean over the weekend. 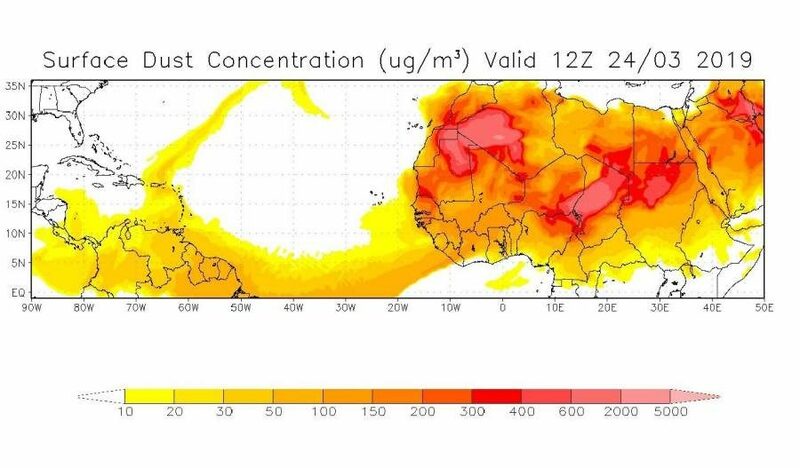 People with respiratory problems and allergies are advised to take necessary precautions. 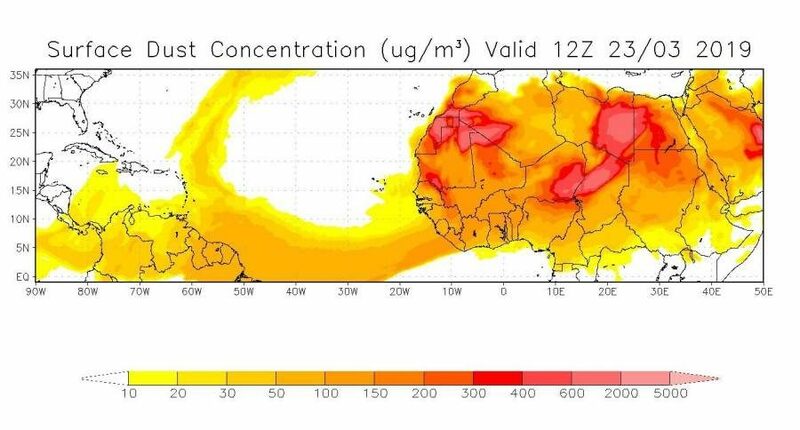 Impact: Possible respiratory problems and reduced visibility. This is based on satellite imagery and model guidance. 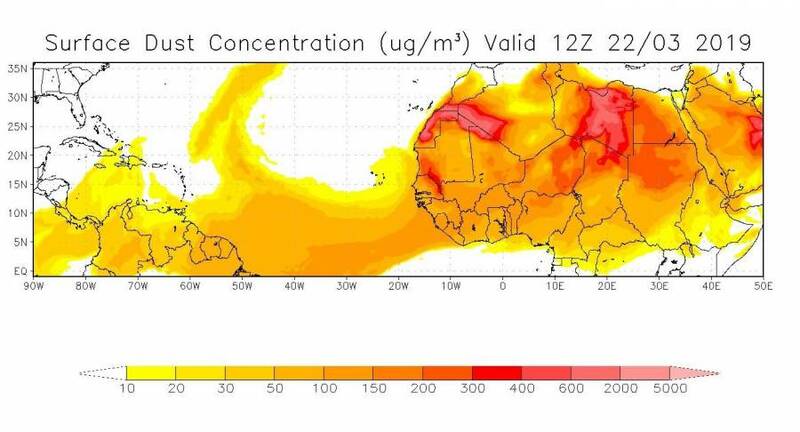 The Saharan Air Layer (SAL) is an extremely hot, dry and sometimes dust-laden layer of the atmosphere that often overlies the cooler, more-humid surface air of the Atlantic Ocean. Forecaster: Jason Robertson, Meteorological Services, MBIA. Such wonderful inspirational stories. As a grenadian living in Chicago, USA, I feel so proud and wish that young man good luck and continues success. Grenada proud.